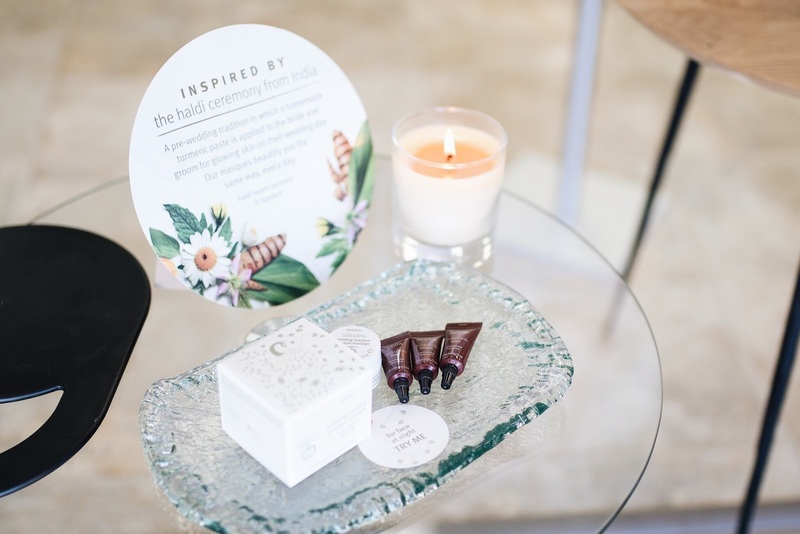 I recently got the opportunity to try out Aveda skincare at my local Aveda salon, Hairy's Salon, and received a wonderful facial and sample bag of Aveda skincare products. 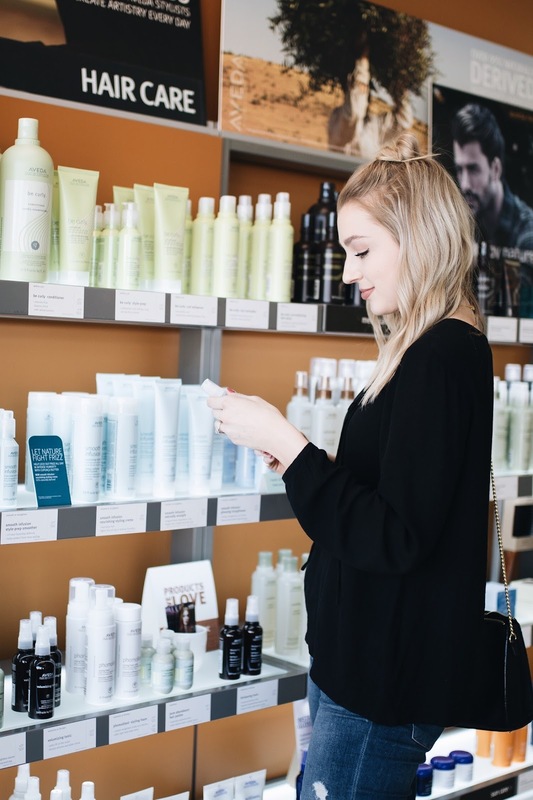 I have to honestly say right off the bat that after a few weeks of using Aveda skincare products, my skin is the softest it's EVER been, so I wanted to blog about my experience. I have a new glow that I'm loving, and I'm just feeling so much more optimist about the future of my skin. I thought I would share some of the products they used for my facial, a few amazing tips that I learned, and what products I decided to purchase. 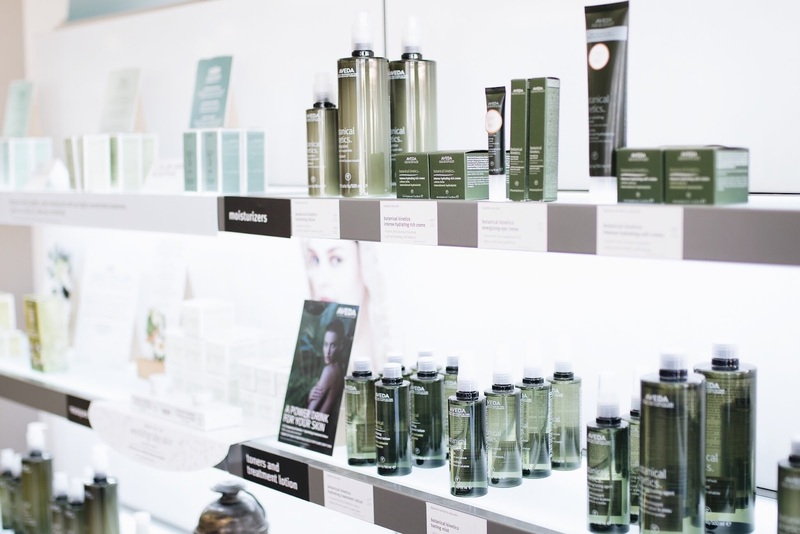 The first thing I learned is that Aveda products are all plant-based and organic. Aveda also values giving back to society, honoring other cultures, and caring for the earth. I love these principles so very much! After cleansing and toning my skin, my Aveda esthetician performed the Tulasara Awakening Ritual. The first step was using a dry brush designed for the face, which gently exfoliates the skin to awaken it and make it more radiant. It felt absolutely wonderful. After dry brushing, she applied the Tulasara Radiant Oleation Oil, which is a blend of 6 oils that nourish the skin. After pressing the oil into my skin (more on that below), she left it on for a few minutes, and then gently wiped off the excess. When applying any oils, concentrates/serums, and moisturizers, Aveda's practice is to press or pat them into the skin slowly and gently. I learned that products penetrate the skin better using this technique (due to the slower application and heat from your hands) rather than rubbing them in, and that you use less product this way. The next product used was their Hydrating Treatment Lotion. This product is really unusual as it is a true lightweight liquid that you lightly press into the skin to plump it and prepare it for the next products. I learned that in plumping the skin cells, it helps to make pores smaller and bonds them together. Aveda's concentrates are delightful! They have a Firm Concentrate, a Bright Concentrate, and a Calm Concentrate. After my facial and using my samples for a few weeks, I chose to purchase the Bright Concentrate, because over time it evens the skin tone and reduces discoloration. As someone with acne scarring and a few dark spots, I knew this would be a great product to add to my regimen, and that it was time to invest in a product that would truly nourish my skin and improve it over time. I use it at night before moisturizing. 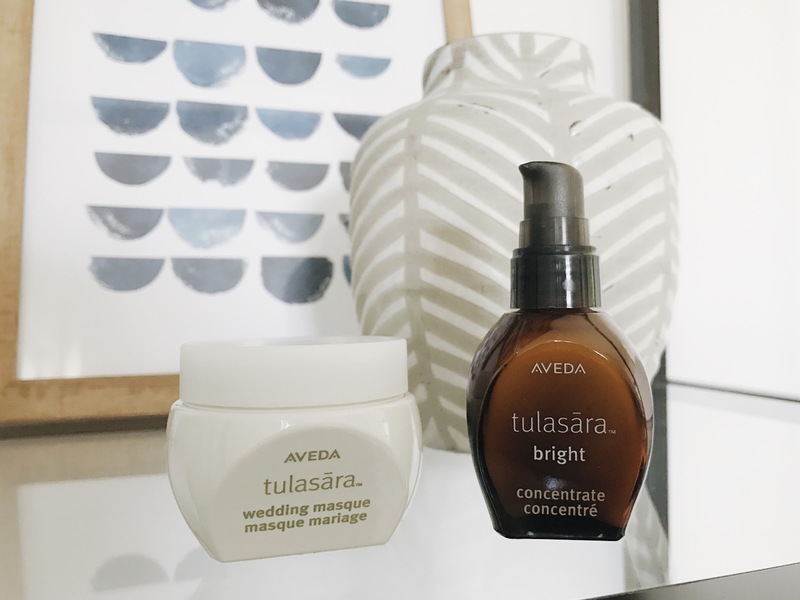 My other favorite products are the Tulasara wedding masque overnight treatments. They are inspired by the Haldi ceremony from India, a pre-wedding tradition in which a homemade turmeric paste is applied to the bride and groom for glowing skin on their wedding day. I've been using the overnight masque and the eye masque as my nighttime moisturizers for a few weeks now, and my skin is so soft and dewy when I wake up in the morning. I have truly noticed a difference. Although I truly wanted to purchase every product I tried, I purchased two to start off with, because I felt like they were the best investment for my skin. 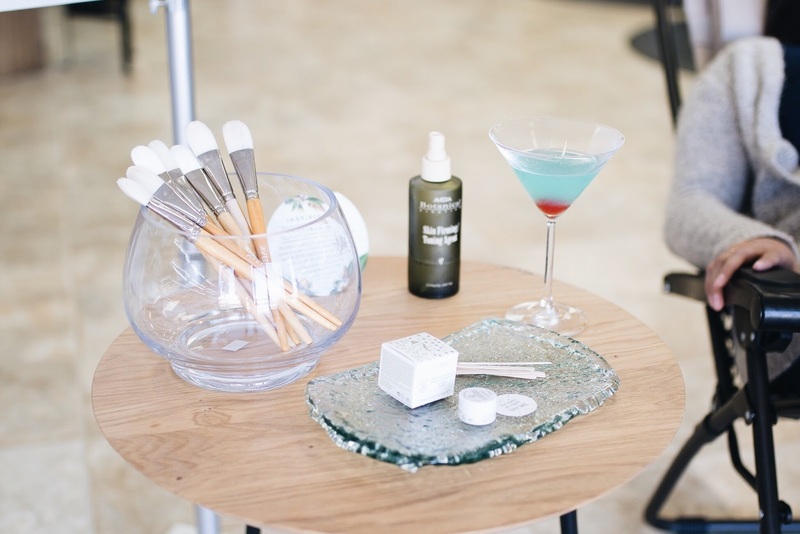 The Bright Concentrate and Wedding Masque Overnight Treatment have already made a noticeable difference in my skin, and I love all of the natural, earth-derived ingredients that nourish my skin. I was hesitant to buy pricier products, but three weeks later and I am actually still using up my samples, because a little goes a long way! This post was not sponsored, but I did receive a facial, samples, and a small credit toward the skin care products that I purchased with my own money. Aveda is a brand I truly believe in, and I plan to purchase many more products from them in the future.